Many tools and plugins promise better page speed in WordPress websites. Page speed is as important for user experience as it’s for search engines ranking. We tried many solutions, and this is what worked best for us. Before we start with optimizing we want to measure our page loading speed. This way we won’t only know our loading time, but also what’s causing it. 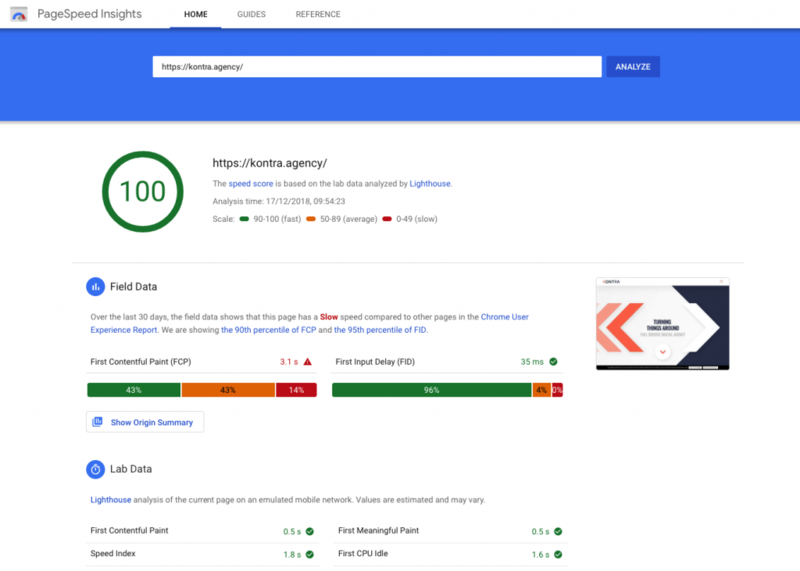 Our practice proved that the best is Google PageSpeed Insights and, for a more detailed report, GTmetrix. Next step is to read all of the recommendations and try to fix them all. Images are great content on our website, but if they are not optimized for web, they will have a significant impact on page speed. Images can be optimized by using the right dimension, and not resizing them with CSS. WordPress allows you to configure image size for thumbnails, medium and large size. You should set those according to your theme image dimensions. Even if image sizes are correct, you can optimize them further by decreasing their size on disc by changing them a 72dpi and using “lossy” image formats. You can optimize your images in photo editing software like a Photoshop by clicking “save for web”. 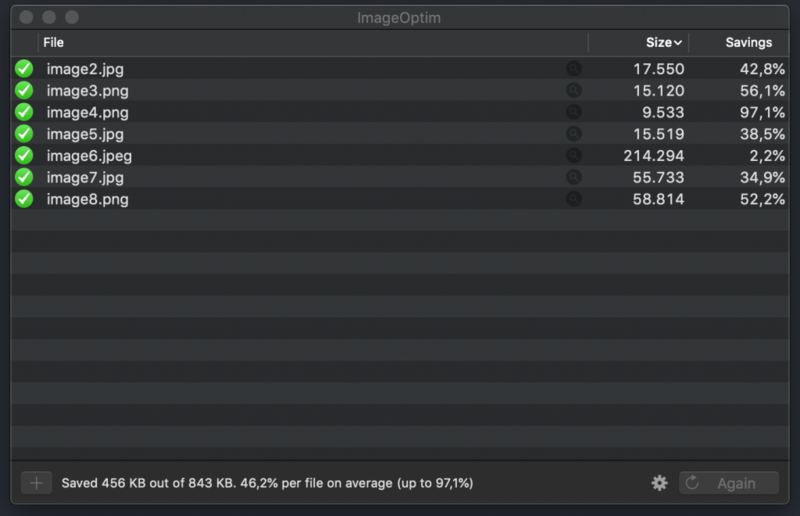 For a bulk optimizing images before we even upload them to WordPress, we use a tool ImageOptim. You can also use some WordPress plugin for this. If you run your website through the Google PageSpeed Insights tool, you will probably be notified about minimizing and combining your CSS and JS files and enabling the cache. What this means that by reducing the number of CSS and JS files we need fewer server calls and reduced size of those files. There are many plugins for this purpose, we prefer WP Fastest Cache for its simplicity and good performance. These plugins will create static HTML files to serve instead of using PHP and MySql requests every time. Compressing files on your local disc can save a lot of space. Similarly, for the web, we can use GZIP compression. You can enable this feature through a plugin or add following codes in your .htaccess file. Site-loading speed will differ if the visitors are located far away from where your site is hosted. There are many CDN (Content Delivery Networks) that will help in keeping the site-loading speed to a minimum for visitors from various countries by keeping a copy of your website in various datacentres located in different places. The primary function of a CDN is to serve the webpage to a visitor from the nearest possible location. Most popular CDN services are Cloudflare and MaxCDN. Lovering your site page speed will be a lot of trial and error, but this should help you get started. Front-end web developer at Kontra and a car enthusiast. Are you interested in using Instagram for your business? Download our free ebook! 47 pages of expert knowledge! How to properly use #hashtags on Instagram? Instagram Stories: How to use them and why?